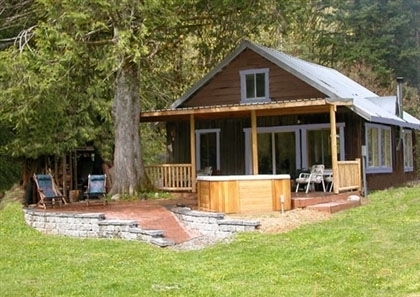 Mysty Mountain Cabin is set on 5 private acres on the Skykomish River, and is adjacent to an additional 5 riverfront acres at the Skykomish Playfield Park (complete with a baseball field and jungle gym for the kids!). 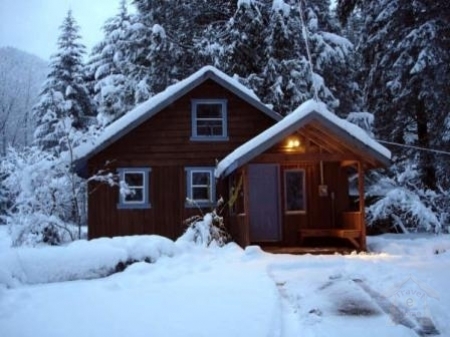 The cabin is surrounded by Cedars, Douglas Firs, Maples, Apple Trees, a sizable back yard (with a fire pit, of course), and a scenic mountain view. Enjoy some of the state\'s best fishing right out your back door, or just sit back and relax on the riverside deck. A 500 sq. ft. covered patio is set up with plenty of patio furniture, a propane grill, a NEW SAUNA and an 8 person hot tub to soothe sore muscles after a day of adventure. 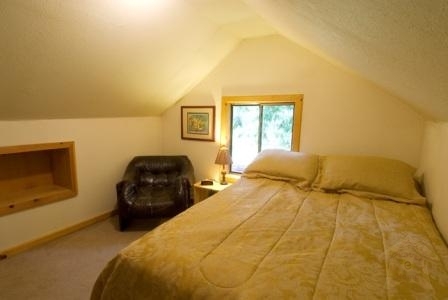 The 850 sq ft interior is fully furnished and equipped with everything you\'ll need for your mountain getaway, including modern amenities such as Digital Satellite TV, High Speed Internet, DVD, and Stereo/CD. 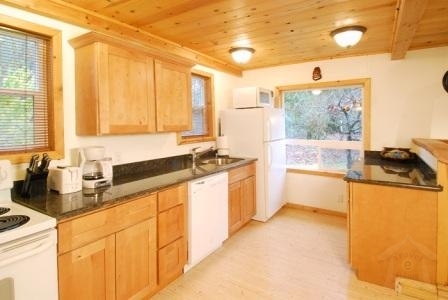 The kitchen is stocked with all the cooking and dining ware needed, and is open to the 6 person dining area and bright living space, complete with a wood stove set on a river rock hearth. The master bedroom on the main floor adjoins to the newly remodeled full bath, and 2 more rooms upstairs are appointed with full beds (additional sleeping accommodations are available on the sleeper sofa or queen Aerobed). 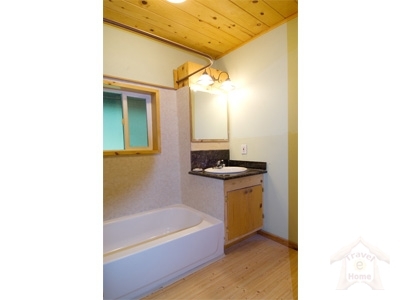 With pine ceilings and floors, granite counters, and including modern amenities such as Digital Satellite TV and High Speed Internet, Mysty Mountain offers a rustic cabin feel coupled with the luxuries of modern living.